Request RMA Send Diagnostic Data with Show Full Results Option along with System & TIMs Serial Numbers to Support. Unlatch and Lower Testhead from Handler and Remove Fixture. Remove TIM From Shipping Box. Do Not Trash TIM Box, Keep For Return Shipment. Remove Failed TIM, Pull Top Latch Then Pull Bottom Handle to Release from the Testhead. To Confirm Recent Cal Data, Select Instrument from Config Window, RMB Menu Choose Calibration > Restore... > OK. If One or More Dates Do Not Appear, Import Cal Data (contact Manager) and Choose System > Startup. Perform Targeted Diags Again. Ship Failed TIM in provided TIM Box. If a TIM Box is not available, follow these Safe Packing Instructions. Never recalibrate "stand-alone" TIMs outside of the standard calibration interval because they only interface with the Fixture and DIB and so their Calibration data is valid when used in any tester. Calibration may only be needed when changing TIMs with "RF System" connections. The "RF System" is any cable connection between TIMs found on the Diag/Cal Interface Plate (Diag Fixture). Fixture Calibration may be required on Fixtures that use the "calPerTester=True" attribute in the Device Connection Editor. Always follow the Cassini Reference Guide, CH 5: Diagnose procedure after changing TIMs and prior to releasing the tester for production. Detailed Maintenance Schedule information and procedures are in the Cassini Reference Guide, CH 3: Care & Maintenance. 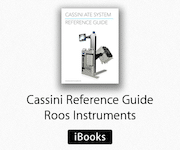 Detailed Diagnose and Calibration information and procedures are in the Cassini Reference Guide, CH 5: Diagnose and CH 6: Calibration. Calibration Kits: used to calibrate RF system, frequency dependant.